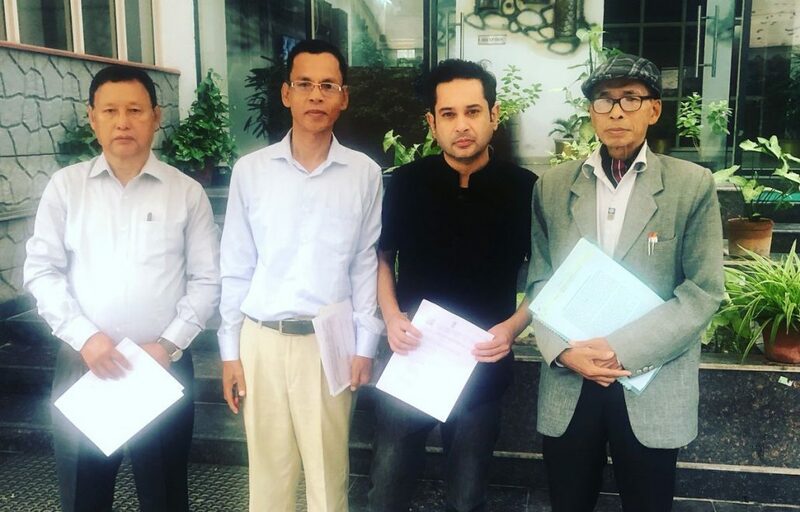 Now, Tripura royal scion Pradyot Bikram Manikya Debbarma, who submitted a writ petition in the Supreme Court demanding National Register of Citizens (NRC) in Tripura, has received the support of the president of Indigenous National Party of Tripura (INPT) BK Hrangkhawl. Meanwhile, the Tripura royal scion on November 2, 2018, met lawyers for the NRC in Tripura on November 2. After the meeting Debbarma while uploading image of his Delhi visit, stated that he was glad that irrespective of the different political affiliation many are joining hands in our fight to have NRC in Tripura. He urged all to shed political and ideological differences and join hands with him in his efforts. The demand for implementation of the NRC in Tripura continues to intensify with State indigenous parties like INPT as well as the ruling ally IPFT threatening to launch an intensive movement if an Assam-like National Register of Citizens is not implemented in Tripura. In a recent interview with the Indian Express, Debbarma had said that there cannot be different rules for different States in the country when it comes to citizenship. “Implement NRC and the demand for a separate state will dilute, people demanding Tipraland are doing so because they feel they have lost all rights within the state of Tripura,” he had stated. Debbarma further said that they are asking for their constitutional right as an Indian. “And if the government of India is earnest, they will take measures to ensure that genuine Indians get first preference compared to illegal migrants,” he said. The NRC update process is going in Assam under the direct monitoring of the Supreme Court. This is being implemented to detect, detain and deport illegal migrants by verifying the details of every person in the State.